A new structure was needed to accommodate the Foster’s technical diving equipment servicing business. 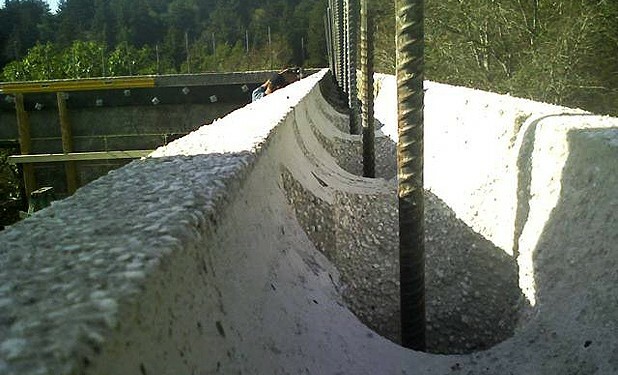 Reclaimed Polystyrene ICF-Insulated Concrete Block was chosen for its cost, energy saving, and temperature regulating properties. Additionally, the structure was situated under the redwood canopy in the Santa Cruz mountains, and the Reclaimed Polystyrene ICF-Insulated Concrete Form Block’s resistance to mold and mildew made it a perfect candidate for the job. The entire facility was approved by the US NAVY as clean enough to service the US NAVY Dive Team’s gear.